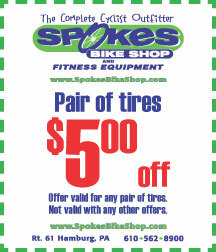 Spokes has several experienced technicians on hand all season long and service all brands. We can perform minor or major repairs. We warranty and tune what we sell. But, if you didn't buy it here, we'll still do our best to get it working again. Keep in mind, department store bikes often have the longevity of a disposable lighter and we may advise you of the cold hard truth that it may not be worth fixing. 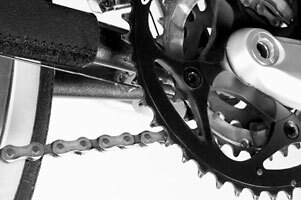 If calling during biking season, you may want to call ahead and reserve an appointment ahead of time, as we have literally hundreds of bikes in for service during that time. 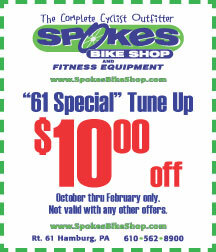 Spokes offers several tune up packages that are very reasonably priced. Folks seem to like the 61 Special... ask us about it! 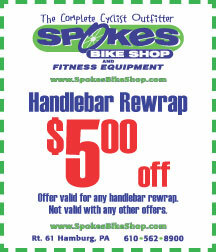 All new bikes we sell get ongoing free cable adjustments for one year and one free OFF SEASON full tune up. Please bring those bikes to us while you are not riding them and while our workload is at a minimum  between October and February. If you forget the dating and bring the bike in for the free full tune up in prime season, there is no guarantee we can get to it at that time. No job is too big  bring on the ugly!